← What would YOU do with $50? Mean is like, totally over. When Haley Kilpatrick was in middle school, she was so humiliated by the girls in her class, she ate her lunch every day hiding in the bathroom. As beautiful as she is today, she knows something about mean girls. So when she was 15, she decided to start a mentoring organization to help guide other young teen girls through the tricky trials of early adolescence. Haley & her Girl Talk middle schoolers. Girl Talk is Haley’s creation, started in 2002 with the brilliant concept that nobody understands a girl like a girl. So Haley’s vision was to inspire high school girls, well past the age of mean, to start and lead chapters in middle schools –to help those girls build self-esteem, figure out who they are, develop leadership skills, and recognize the value of community service. 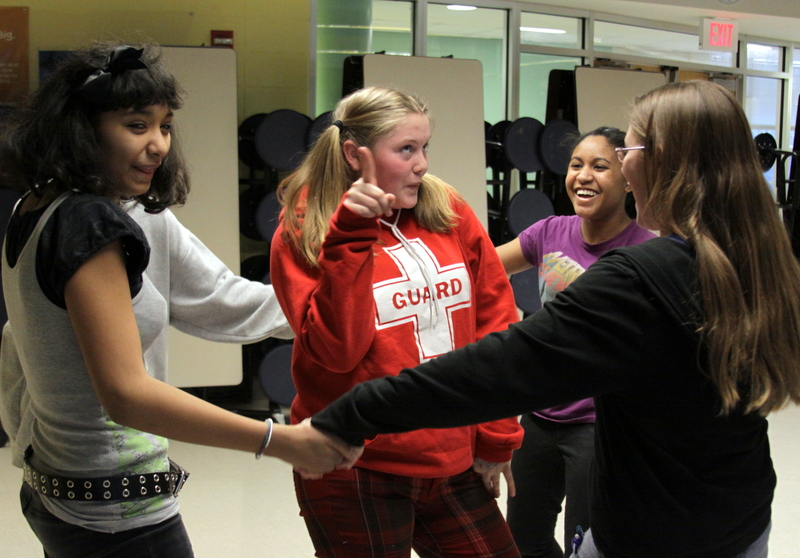 It’s really a win/win proposition: the high school girls learn to lead, organize and share their mature wisdom and perspective, and middle school girls have somebody they can talk to and confide in, who truly understands what they’re going through. 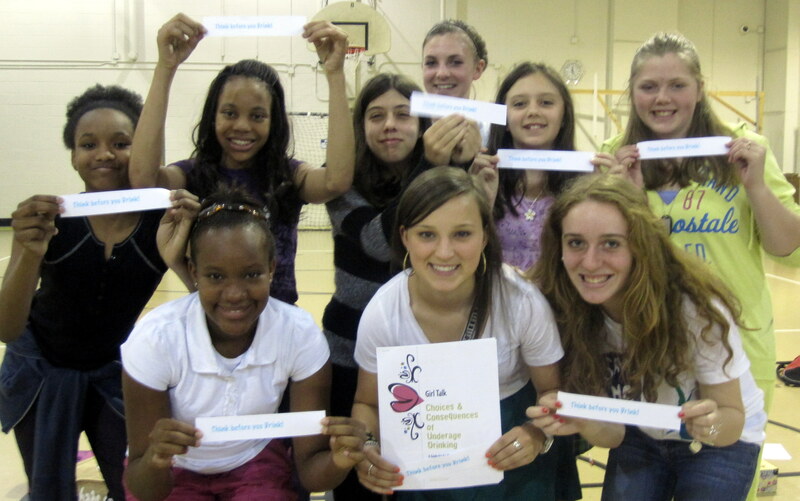 Girl Talk leader & middle school girls with their positive affirmations. And boy, is Girl Talk catching on. As one of the fastest growing nonprofit mentoring programs in America, it’s reaching more than 30,000 girls in 39 states. And how cool is this: everything you need to start a chapter is offered for free on the web – from Leader Tools to the Girl Talk Handbook, Advisor Contract (there are always adults involved), and Meeting Ideas. 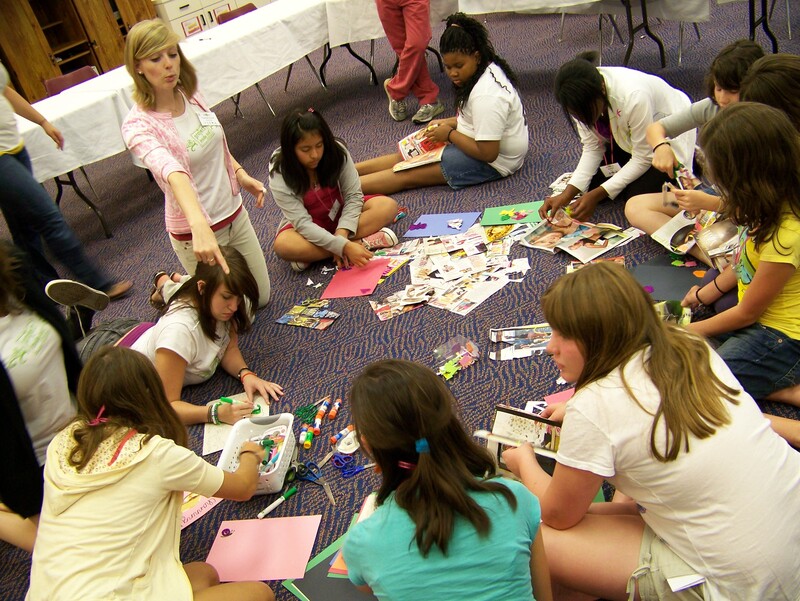 There are even Girl Talk Camps for middle school girls that feature amazing inspirational speakers like Jackie-Joyner Kersee, Parlee Chambers, and Dell Spivey. Role-playing takes the sting out of mean. Is all this really necessary? Ah … yeah. As Emily Huff, a Girl Talker who just turned 12 yesterday reports, ”The girl drama starts in 4th grade, but it gets really bad by 5th. I see it, hear it, and watch it every day.” The mean girl focus is mostly around clothes: what you wear and how you wear it (an excellent case for school uniforms, btw). But it’s also fueled by gossip, innuendo, and rumors that are passed around at warp speed by the internet, texting and facebook. And it can be brutally destructive to girls in those tender middle school years who are intensely sensitive. The solution? Talk it out! Working on a good, strong sense of self! Emily Huff is such a fan she started her own jewelry line, Pop Rocks, and recently raised $3,000 to support Girl Talk chapters. So today, in honor of Haley and Emily, I’m giving $100 to support Girl Talk’s mission to clean up the mean. You can donate, too, by clicking here! Great outlet for all the girls including the ones wearing school uniforms. Our family became touched by Haley and Girl Talk a few years ago. Prior to our meeting, if anyone would have told me that my role model would be half my age, I would have laughed at the notion. In fact, she is the first person in my 40+ years (other than my incredible parents) I have ever considered a role model. The Girl Talk tag line of DESIRE to INSPIRE is her life motto. Believe it or not, Girl Talk is only a small percentage of the amazing works Haley has working in our community. People need to put her on their radar of a true “world changer”. She has given me true hope in this next generation and the ones coming after. Having worn uniforms for most of my grade school, and all of my high school career… Girls can still be mean, that’s why I LOVE this idea. I used to get ridiculed by the “cooler” girls because I would talk to other girls outside the circle and do exactly what Girl Talk is trying to get girls to accomplish… understand a person from the inside, their true spirit. So cool. Thank you for this story.